The O.E.M. Series features a durable 600 Denier accent fabric with an automotive style fabric for the insert section. The 600 denier polyester is highly water resistant and has a high abrasion rating making it really tough when sliding in and out of your vehicle. 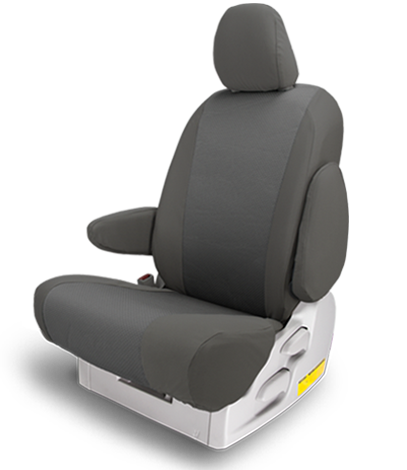 The tops seating surface is foam backed providing additional cushioning for added comfort. Photo(s) for illustration purposes only and do not represent your actual seats. Our OEM Sport Burgundy is a Limited Edition offering. It is genuine automotive quality. 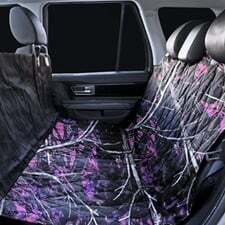 It and variations of this fabric can be found in Ford, GMC, Chevrolet, Chrysler, Dodge and some import vehicles. It wears very well and features a ¼” foam laminated backing to provide additional seating comfort. Black with Burgundy is a classic combination of colours. $277.00 USD 15% Off per row ! You must choose your vehicle first! 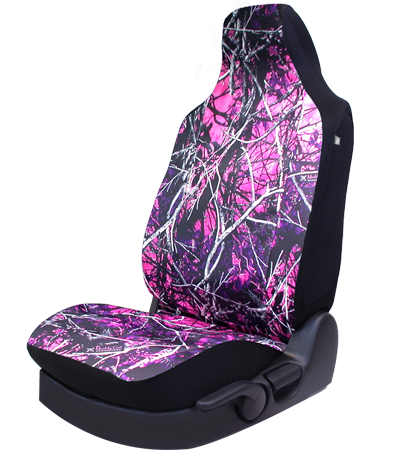 The OEM sport seat covers in your car or truck say you’re conservative with a unique twist. You take pride in the attention to detail and it shows on your seats. Choose a fabric to reflect who you are; which will it be? The O.E.M. Series features a durable 600 Denier accent fabric with an automotive style fabric for the insert section. The 600 denier polyester is highly water resistant and has a high abrasion rating making it really tough when sliding in and out of your vehicle. 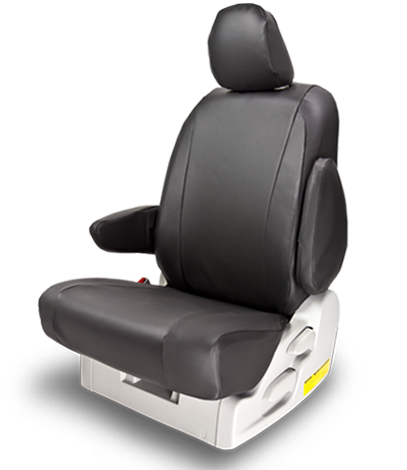 The tops seating surface is foam backed providing additional cushioning for added comfort. 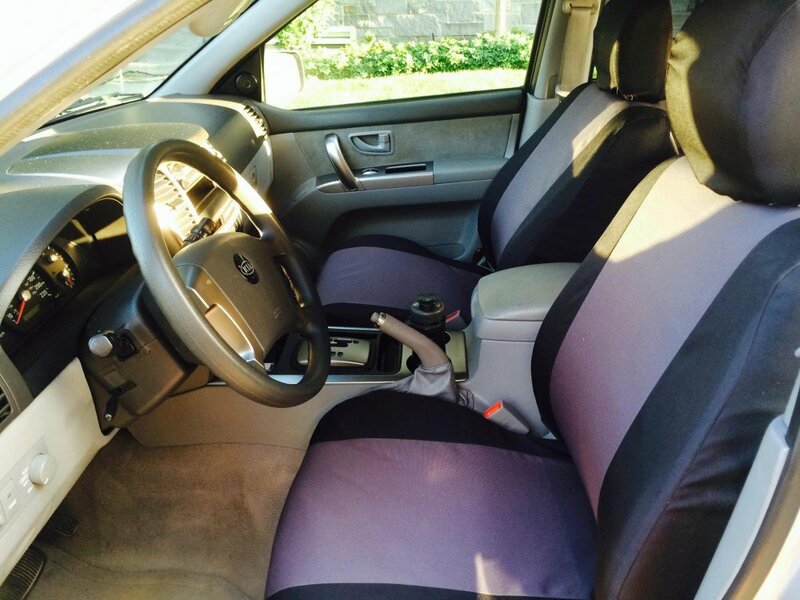 They blend discreetly with your vehicle’s current interior for a nice factory style look. They also provide exceptional seating protection with the benefits of easy washing and drying. 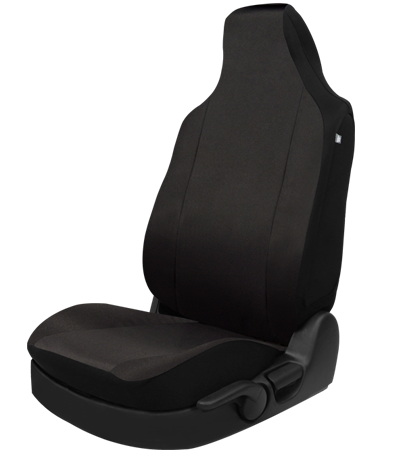 If you want a factory style look and performance then get the OE Series - Cloth Seat Covers. 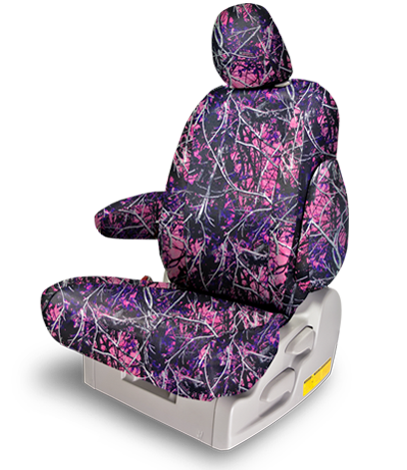 NW Seat Covers come with a 2 year warranty for fit, workmanship and normal wear. We will replace any sections that have worn due to normal use, a material defect or a fitment problem, free of charge in 4 easy steps. For more info, please visit our Warranty & Returns page. Machine wash with an HE liquid detergent in warm water and on gentle cycle. The textile manufacturers recommend hang drying or fluff drying. Note: Do not tumble dry on any warm temperature settings because the higher temperatures will reduce the moisture of the open cell foam walls, causing them to collapse and turn to foam dust over time. This is true for any foam backed set of covers. Our OE Series of fabrics are made of a polyester knit construction. 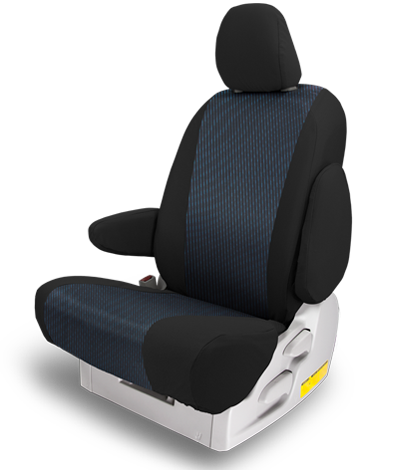 The fabric is designed to resist staining but, if you want to add additional protection then treat your seat covers with Scotchgard before installing them. This is the same type of treatment your factory seats receive before picking up your new vehicle from the dealership. To better provide you with the best instructions possible, we have included a series of video tutorials on our Youtube channel. You can also visit our Installation page and download our PDF Installation Guide. In order to help us provide you with the best customer service we can, please e-mail us a digital picture of any problems you are having. This has shown to be an easy and valuable trouble shooting system for our customer service team. Also note that any returns due to a fitting problem must be preceded by a digital photo of the problem area. For any kind of technical issue, please contact our Customer Service at 1-888-821-1066. If you don’t have a digital camera, please take your vehicle (with the covers on) back to the place of purchase so they can take a photo and/or possibly solve your fitting issue on the spot. In many models, headrest holes, power holes and/or latch holes are not cut. This is due to past trouble with properly aligning the covers once the holes were cut. In these cases, it was deemed better to cut the holes once the cover is properly aligned and installed. To make these holes, simply install the cover, then cut a small "X" cut over the area where the hole needs to be. Then, in the case of a latch hole, lift the cover up and slide the latch through the hole. This process ensures that the holes are placed in correct spot every time! '; } //console.log(array[i]); } } //var selectionText = item; selectionText = selectionText.replace(/Part: [\d\D-]+/g, ""); if(note != "") selectionText = "
Part number: " + partnumber + "" + "
" + listText + note + "
"; else selectionText = "
" + listText + "